They’re two of the most debilitating words a woman can say, especially when it comes to her children. These two words fill our minds with doubt and our hearts with fear. And even: What if I’m not a good enough mom? There’s a reason God’s Word tells me “Don’t worry about anything; instead, pray about everything. Tell God what you need, and thank him for all he has done. Then you will experience God’s peace, which exceeds anything we can understand. His peace will guard your hearts and minds as you live in Christ Jesus,” (Philippians 4:6-7, NLT). As I give God all of my what ifs, worries, and anxieties, He can calm my heart and remind me that He is in absolute control. 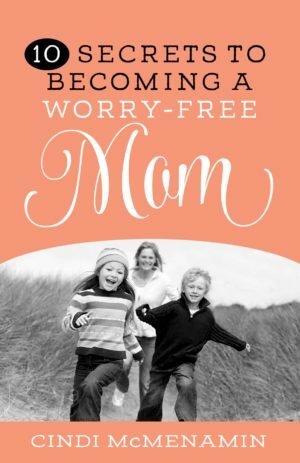 That was the lesson I had to learn myself before I wrote my book, 10 Secrets to Becoming a Worry-Free Mom. Based on my own experience mothering – as well as wisdom and advice from many other moms – I found that there are treasures (secrets, if you will) to discover as we surrender to God what is closest to our hearts – our children. One of those treasures is the incredible peace He offers as the Perfect Parent who allows us to partner with Him in raising, loving, and caring (not worrying) for our kids. 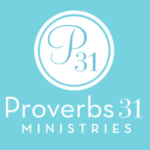 What are you saying – to God and to others – when you worry? And what would you like to start saying with your life and your actions from this point on? on What to Do With Your ‘What Ifs’. I would love to read your book. I have always been a what if person worrying about everything that might happen. Especially when it concerns my children. Please consider me to receive one of your free copies. You once spoke at a women’s retreat my church had. I can’t remember exactly where but down south coast. Oceanside Christian Fellowship is where I attend in El Segundo. I would benefit from your book as God is shifting my perception taking me to another level of faith praise and worship. I have always struggled with worry. It is something I struggle with more since losing my husband to cancer 5 years ago. I try not to worry about all the “What If’s” but I struggle on a daily basis. I’m sure this book could help me learn ways not to worry so much about my kids and other things as well. Thanks for your comment, Kelly. Having endured loss, I imagine the fears can be overwhelming, at times. But my book takes the reader through the process of focusing on the facts, rather than her fears, and the truth of WHO God is, rather than the fearsome scenarios in our heads. I would love to have this book sent to my daughter. She worries so much about her children in college and how to let them go and work to help finance some of their own money that they could help with instead of always depending on Mom. I come from a long line of “worry warts” 🙂 My daily time in God’s Word is helping me to fight that battle. My current worry-project is whether I need to homeschool my children, one of whom has special needs. I am filled with the “What ifs” that go along with such a ginormous leap of faith. I would add your book to my accumulating arsenal of strategies as I pray for God’s Will in this season of our lives. Lisa, thank you for sharing how you would benefit from this book. It certainly would help you with your latest “worry project”. Sounds like you have a lot of decisions in front of you….as well as a God who goes before you into them. :) Keep building that arsenal of strategies. I hate to be such a worrier, but it seems to be what I do. I internalize and cannot seem to let things go. Trying to pray more and worry less. The more I worry the less I get done. It is a vicious cycle. I would love to be blessed with a copy of your book. I often have the “what if’s” not only in my head, but I speak them out loud. Being a single mother of a strong willed toddler, I always tell myself, I don’t want to emotionally hurt her like my mother did to me, what if she grows up resenting me. I constantly pray, read devotionals and pray with and for my daughter. With God’s help, I know I can raise her to love God like I do. Hi Cheryl. Yes, you have my permission to read portions of “When God Pursues a Woman’s Heart” over your radio show, provided that you cite the title and my name as author each time. Please also mention that the book is available at http://www.StrengthForTheSoul.com. Thank you and God’s blessings as you share the Good News.